He was a popular actor and singer in the 1930s and 1940s. He was born at Mayiladuthurai. 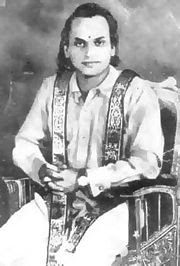 He is considered as the first superstar of Tamil Cinema His first movie was "Pavalakodi" in 1934 and he appeared in another 14 movies until his death. Most of his movies were record breakers. Haridass, released in 1944, ran continuously for three years in Chennai Broadway theatre.He was charged with murder in 1944 but was acquitted and released in 1946. Prior to the arrest he was booked to make 12 movies, but he lost interest and the few movies he did make were unsuccessful. Nevertheless he still drew huge crowds in concerts. He quietly spent his last years, having lost almost all his wealth defending his case. Telugu, Malayalam, Kannada, Hindi and English.And even today there is no one like him who can carry an entire film on the strength of his background music alone - the success of at least 100 movies in India have been solely due to his background score. Innovations in chords, progression of chords, strings, percussion, points & counterpoints, harmony, melody, polyphony, bass in the foreground, waltz like movements, baroque style & symphonic interludes- there is nothing this man has not interpreted in his own inimitable grandiose style. president is Lord Yehudi Menuhin. of composing completed this symphony in just one month's time. 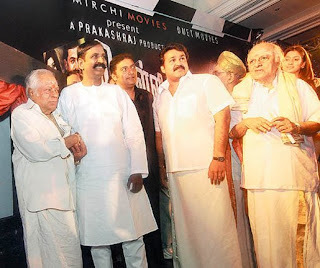 Best Music Director many times from the governments of Tamil Nadu and Andhra Pradesh. He was conferred the honorary degree of Doctor of Letters by... Annamalai University of Chidambaram,India in April 1994. The World University of Arizona, USA in June 1994. Madurai Kamaraj University in 1996. Isai Gnani first award given by politician Karunanidhi. his peers tried to invoke Western sounds through Indian instruments. 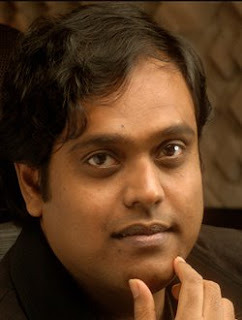 Harris Jayaraj entered the world of film music as a musician, programming scores and drum–percussion for many films under the famous Indian Music Director A R Rahman. He started his career by composing beats for TV advertisements. His first music score for a commercial movie was for the Tamil film Majunu.But Minnalae was reached the audience better than his first movie. The music was well received, especially the song "Vaseegara", made the film becoming a big box office hit, running the charts for weeks. 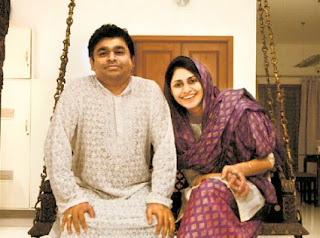 After Minnale, Harris composed music for the Tamil movies 12B and Kovil which were once again a huge musical super hit. His first music score in Bollywood was for Rehna Hai Terre Dil Mein, a remake of Minnale', which was again a hit. His recent release Dhamdhoom has fetched accolades. The first film he composed for was the Tamil film Aravindhan. He captivated the youth's attention by the refreshing Thulluvatho Ilamai album. Then there is no turn back for him. Hailing from a musical family, much of Yuvan’s inspiration is said to come from the several genres he grew up listening to such as Western classical music, pop, rock, heavy metal, jazz, urban Hip hop and other styles and sounds. His versatality is his big asset. He ranges from rustic Tamil folk to heavy metal. 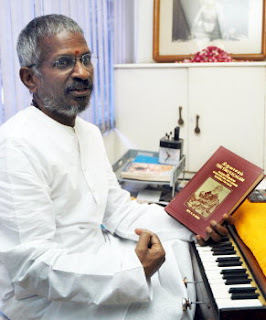 His father Ilaiyaraaja is also an inspiration. Yuvan Shankar Raja is renowned for his unique blend of melody and electronic orchestration. Soundtracks for films such as Kadhal Kondein, 7G Rainbow Colony, Kanda Naal Mudhal and others were released to acclaim and popularity. He is known for his ability to produce hit albums back to back in a very short period of time. When Yuvan started music career he was heavily compared to his elderly brother Karthik Raja and often criticized by music critics but later on gained momentum after the hit music for Poovelaam Ketupaar. His recent hits in combination with Venkat Prabhu, Chennai 28 and Saroja, proved him to be a maestro for the youth. Hey u... I like ur job..! Plz upload any musicdirectors & singers & lyricists.. Photos..!